Joanne was educated in Business Administration in New York, and came to Santa Barbara 1971 where she started her career in real estate. During her first years, Joanne obtained her Broker’s License, became a member of the Graduate Realtor®’s Institute and earned her credentials as a Certified Real Estate Specialist. She has received numerous awards through the years and is a consistent member of the Sterling Society, the prestigious membership of The President’s Circle and the Chairman’s Circle. 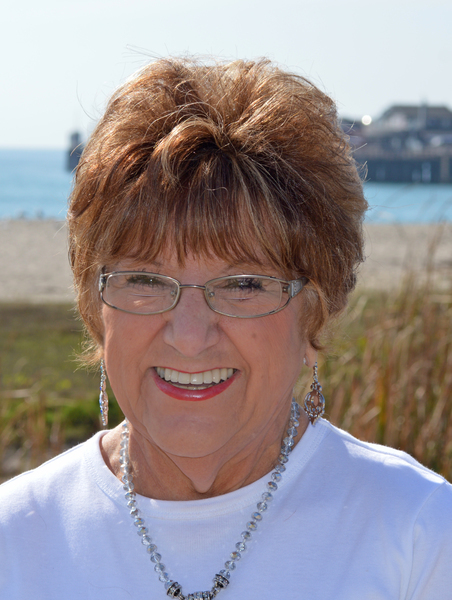 Joanne has sold over 2000 homes during her career and has over 43 years of experience in selling Real Estate within the Santa Barbara County. Joanne's clients are always satisfied and appreciative of the hard work and loyalty she demonstrates throughout the processes. Joanne is more than capable to handle all of your Real Estate needs! 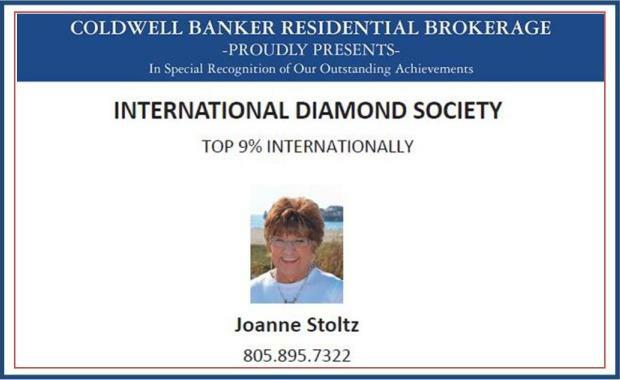 Recognized within Coldwell Banker's International Diamond Society for 2014 representing the top 11% of agents worldwide. Recognized in 2013 Top 9% Internationally as well as International President Circle & Presidential Elite Member, Sterling Society & Leading Edge Society, Member Of The Santa Barbara Multiple Listing Service, 43 Years With California Association Of Realtors®, National Association Of Realtors & Santa Barbara Association Of Realtors®, Two Time Award Winner For Howard Gates Award – Most Challenging Transaction. In May of 2015 Joanne was bestowed with the designation of REALTOR EMERITUS.